I've been a single mom for over five years now. It is absolutely the hardest thing I've ever done. Things weren't supposed to be this way. I had the married life for 11 years and the kids' dad was there every day. That was until he decided to leave us to be with his mistress. He was a fairly good dad at first -- at least while we were going through our divorce and court, but once court was over, he began slacking big time. He would have excuses not to get the kids at his scheduled time, and excuses to bring them home early until eventually he barely saw them at all. He then moved out of state 3 years ago and hasn't seen his own children in 2 years. He's a narcissistic sociopath which means that co-parenting is out of the question. There is no co-parenting with a narc because they only care about themselves and not what's in the best interest of the children. Being a single parent is one of the most difficult things I've ever had to do. Our kids are teenagers now and I've been raising them on my own forever, or so it seems. He texts them every once awhile telling them how much he loves and misses them, but that's it. Just a text. He can't be bothered to make the trip to see them, or to get them anything for birthdays or Christmas's. He pays the bare minimum child support only because he is forced to (if I told you the amount he pays for 3 kids, you would most likely laugh). I have a friend who remains best friends with her ex-husband. They have an amazing relationship and I'm honestly a little jealous. Her ex gets the kids every single weekend from Friday to Sunday evening. He comes to all of their school events, and if they need anything at all, he is there ready to help. She is free to do whatever she wants on the weekends and always has help with the kids whenever she needs it. This friend posts things on social media about being a single mom. She will write posts about how hard it is being a single mom and how proud she is of herself for doing it on her own. It kind of pisses me off. If you are lucky enough to be able to co-parent with your child's father, you are not a single mom. You may be single, and a mom, but you're not a single mom. You are not raising your kids single-handedly. You both are raising them together (even if you don't live together). 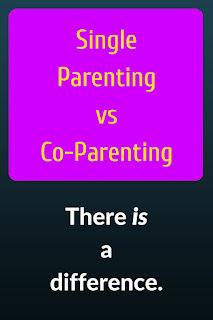 I want to make sure that people understand the difference between being a single parent and being a co-parent. Has to figure things out financially for the children, which sometimes means choosing what a kid can and can not do due to the financial situation of the family. 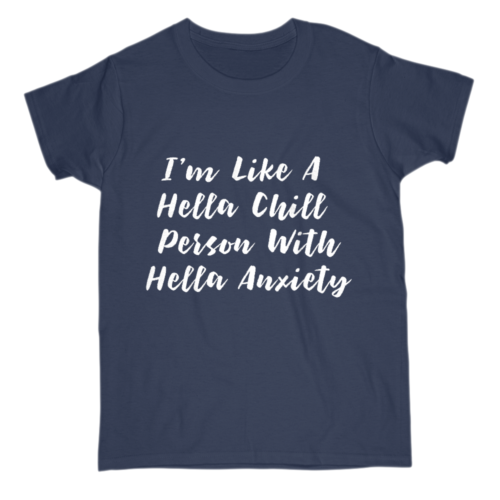 Goes without so that the kids don't have to. Goes to all school functions by herself. Handles school problems by herself. Runs kids to various doctor appointments by herself. Raises the kids by herself. Doesn't get a break from the kids -- can't just pick and choose when she feels like seeing the kids. Is with the kids 24/7 -- most likely is not able to go out and do things with her friends because she is the sole person responsible for them. 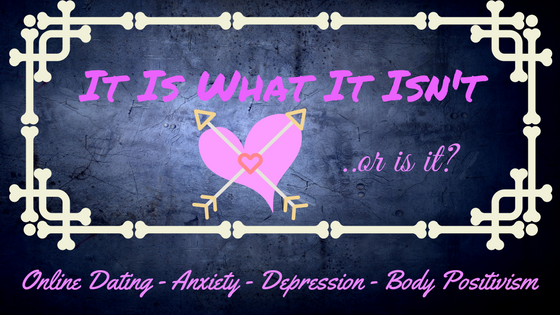 Deals with emotional pre-teen and teenage hormonal meltdowns on her own. Deals with every aspect of parenting on her own. Many times is still dealing with drama from the ex on top of everything else. Your ex is in the children's lives on a regular basis. You have help with pretty much everything. Your ex helps with doctor appointments, meltdowns, school problems...etc. If your child needs something, your ex is willing to help. You have your weekends to do whatever you want -- or at least every other weekend. You get time to yourself while kids are with their other parent. 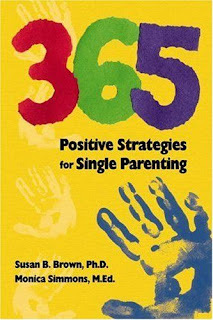 You are able to discuss any problems with the other parent and work together to come up with a good solution. 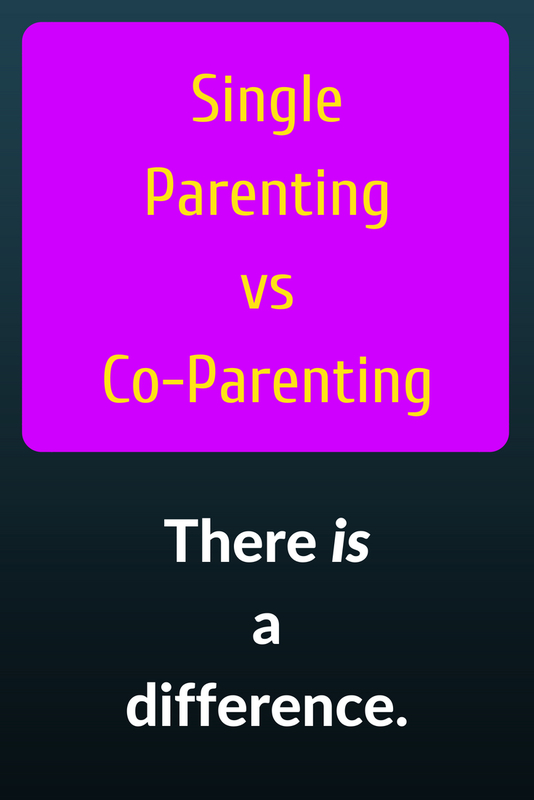 Co-parenting is an amazing thing to be able to do for your children, but unfortunately, many parents aren't able to work together for their kids. Being a single parent is one of the most difficult things a person can do. You have these other lives that you are responsible for, and when you are doing that job all by yourself it takes a toll on you mentally and financially. It's not a job, it's your life, and what you do with it affects the children that you are raising. Please, if you are lucky enough to be able to co-parent with your ex, appreciate what you have. Most single parents would love to be able to have that. Don't call yourself a single parent if you are not a single parent. Don't compare your parenting struggles to mine when you have someone helping you and working with you along the way. It is not the same thing. No one else can understand what it's like to be a single mom unless they have been one themselves. We chose not to run away from our responsibilities. We chose to put our children's needs first. 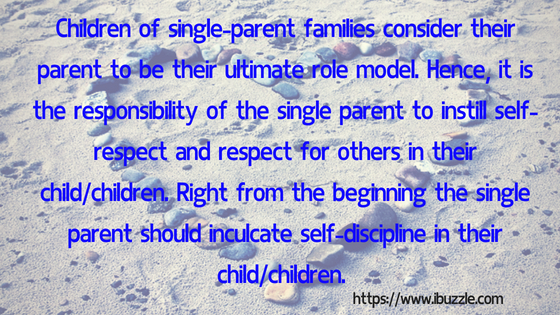 If you know a single parent, offer to help sometime, or watch their kids so that they can have some alone time to pull themselves together or just relax a little bit. They will appreciate it more than you could ever know. ----->> Join Us On Facebook!